Kids will love this faith based epic fantasy adventure, suitable for the entire family. 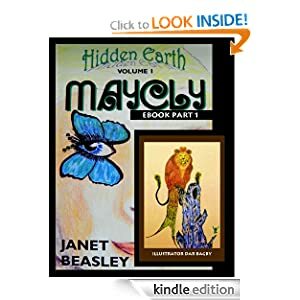 The three parts of Maycly found in the paperback are sold separately as Ebooks. Part 1 is an amazing start to an epic journey. Get attached almost immediately as the protagonist, Iona, is thrown into circumstances beyond her control. Just as you're getting acquainted with her, you'll find yourself being taken back in time on Maycly, where the stage is being set for their queen's hopeful arrival. Part 1 offers a great cliff hanger, leading you right into Part 2.